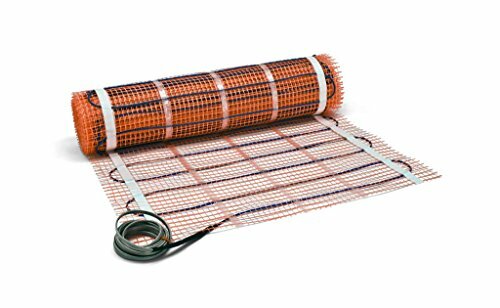 Bring comfort and a touch of luxury to your space with an electric floor heating system! Manufactured by award-winning Watts Radiant whose products lead the industry in North America. Orange mesh can be cut with scissors and flipped to cover and fit your layout. Never cut the blue wire. It can be pulled out and run around obstructions and awkward spaces.